When I grow old, I will hop on a plane to Ifakara, Tanzania, and to dig up that pot of gold that I buried in the summer of 2017. 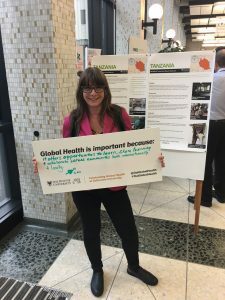 Thanks to Dalhousie Global Health Office and Universities Canada, I was very fortunate and beyond honoured to receive the Queen Elizabeth II Scholarship to work at Tanzania Training Centre for International Health (TTCIH) as a student intern. 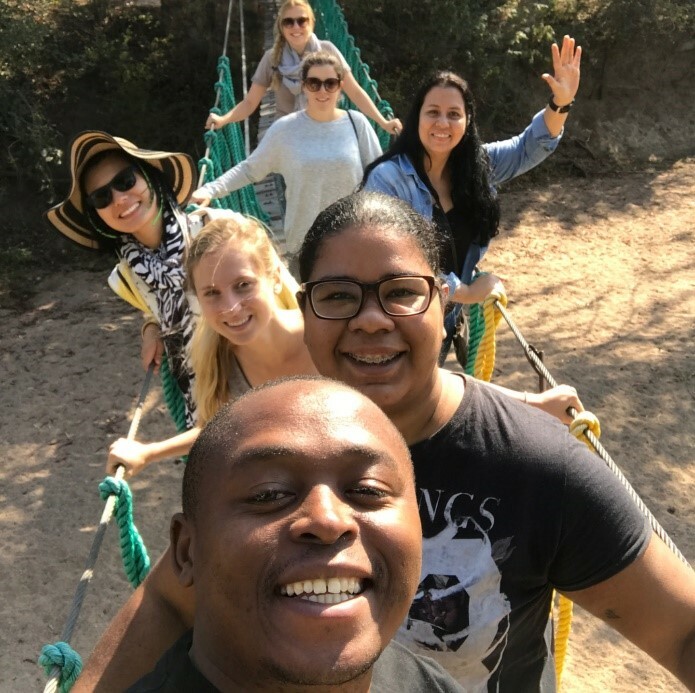 Through this experience, I learned a lot about Tanzanian culture, about conducting academic research in an international research team, and about myself and my future career goals. TTCIH and other local institutions, explore the challenges that women face when try to access quality obstetric care in rural Tanzania. 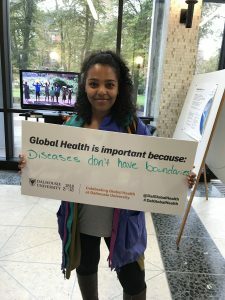 Through this work experience, I gained deeper understanding on the health systems in Tanzania, the benefits and challenges of conducting global health research, as well as efficient communication strategies among different stakeholders in international settings. Clinic at St. Francis Referral Hospital. The One-Stop Clinic offers comprehensive health services to families that are affected by HIV/AIDS. These services include free HIV/AIDS testing, counselling services, informational sessions on HIV/AIDS, and community outreach services. 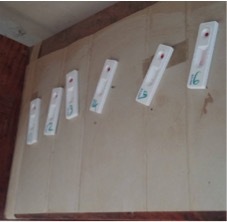 Free HIV/ADIS Testing offered at the One-Stop Clinic at the St. Francis Referral Hospital; these stripes can show results in roughly 20 mins. This working-abroad experience also drastically helped me with my personal growth. It forced me to leave my comfort zone and to connect with friends from all over the world. 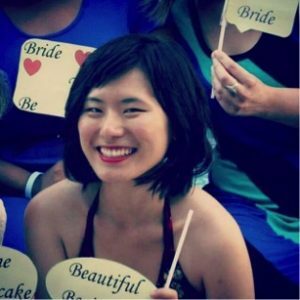 As a Chinese immigrant in Canada, I have always been self-conscious about my English not being my first language, and this self-consciousness often makes shy away from connecting with others. Through this experience, I understood that language proficiency is not a deal-breaker; as long as I treat people with kindness and an open-heart, people will always accept me for who I am. I appreciate all the amazing people with different backgrounds that I made real connections with in Tanzania. Learning about their interesting life experience was very inspiring and humbling. I miss all the friendly faces! While most people consider living in a resource-limited setting a challenge, I considered it a blessing. I appreciated that I finally got the chance to take a break from all my electronic devices and be a more compassionate person and a caring friend. Without having to constantly check my smartphone and laptop for news that were happening thousands of miles away, I learned to be attentive to the present moment. During weekends, I would go for hiking and bike rides with friends. 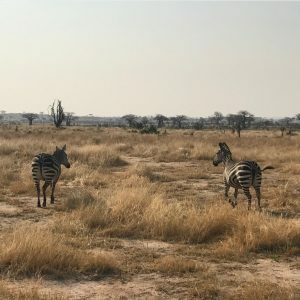 One of the most exciting things that I did was going on my very first Safari trip at the Ruaha National Park. 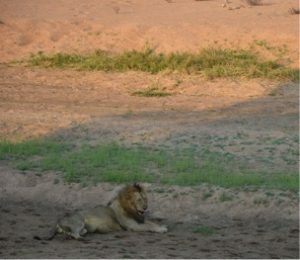 We saw many animals that we were only able to see in movies, like elephants, giraffes, monkeys and lions. At one point, a leopard were only 3 feet away from our vehicle! Reverse culture shock hit me harder than I expected. 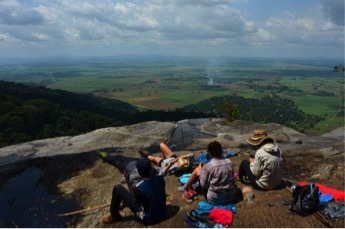 Although I have been back in Canada for over three months, I still miss Ifakara and all the friends that I met there. I miss the simple things like buying groceries from farmers that I made friends with and going for mishkaki (barbeque meat) on the side of the streets. I cannot express my appreciation enough to Dalhousie Global Health Office and Universities Canada, for giving me this life-altering experience to work in Tanzania as a student intern for a summer. The author attending a bachelorette party in Ifakara, Tanzania. To learn more about the Global Health Office please visit our website. To learn more about the Queen Elizabeth Scholars program please visit the Dalhousie QES website. 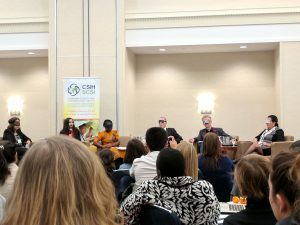 Rachel had the opportunity to attend the three-day Canadian Conference for Global Health (CCGH) in Ottawa at the end of October. The conference brought together leaders in the global health field to present and discuss current challenges and various research projects and initiatives aimed to combat these challenges. 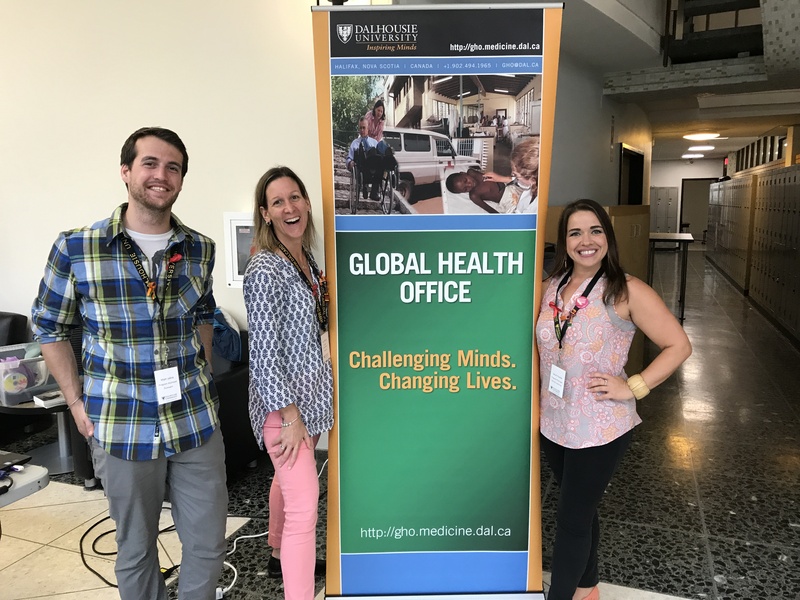 I had the chance to sit down with Rachel Ollivier, a Master of Science in Nursing candidate at Dalhousie University, to ask her about her experiences at the conference. 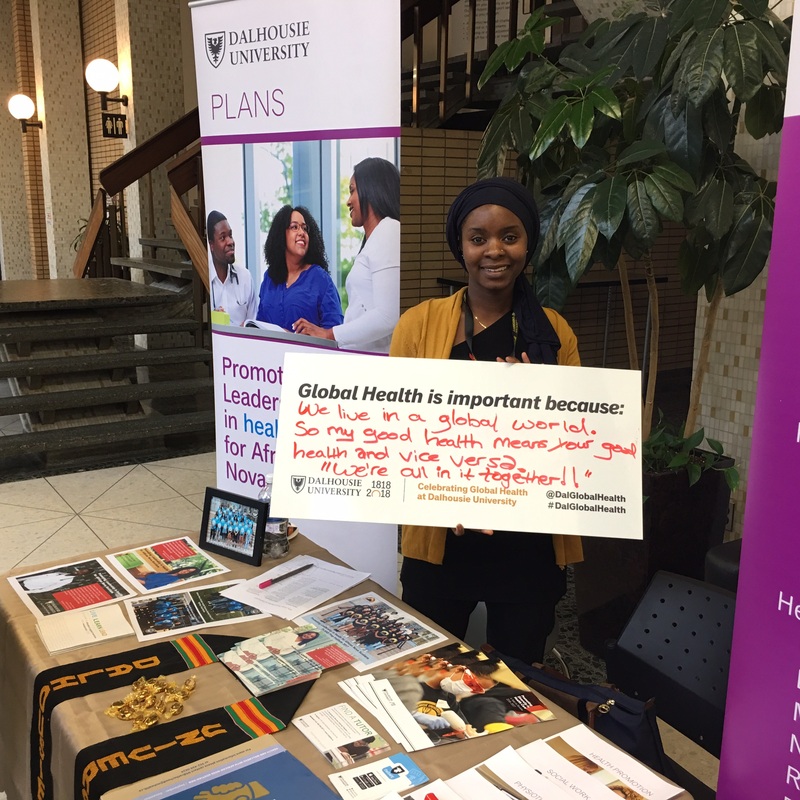 What are you studying here at Dalhousie and how did your past and current studies influence your experience at the Canadian Conference for Global Health? I’ve just begun my first year of the Master of Science in Nursing program here at Dal, and I’ll be working with Dr. Megan Aston and Dr. Sheri Price as my co-supervisors. My thesis research will aim to explore the experiences of postpartum childbearing persons with perinatal sexual health education using a feminist post-structural methodology. Before coming to Dalhousie, I completed my undergraduate nursing degree at the University of British Columbia’s Okanagan campus. 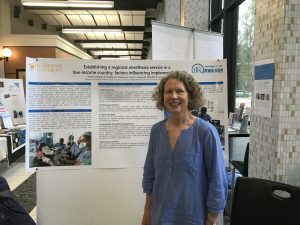 While studying at UBCO, I had the opportunity to work as a research assistant with Dr. Kathy Rush on her work in Western Province, Zambia after completing my final nursing practicum there; an experience that spurred a keen interest in global health research. What was your overall impression of the conference? I really enjoyed it! There was a diverse range of topics presented and discussed; the content of the sessions was fairly dense, though very thought-provoking. I especially enjoyed the workshop sessions, some of which were in my area of interest, being maternal and reproductive health. 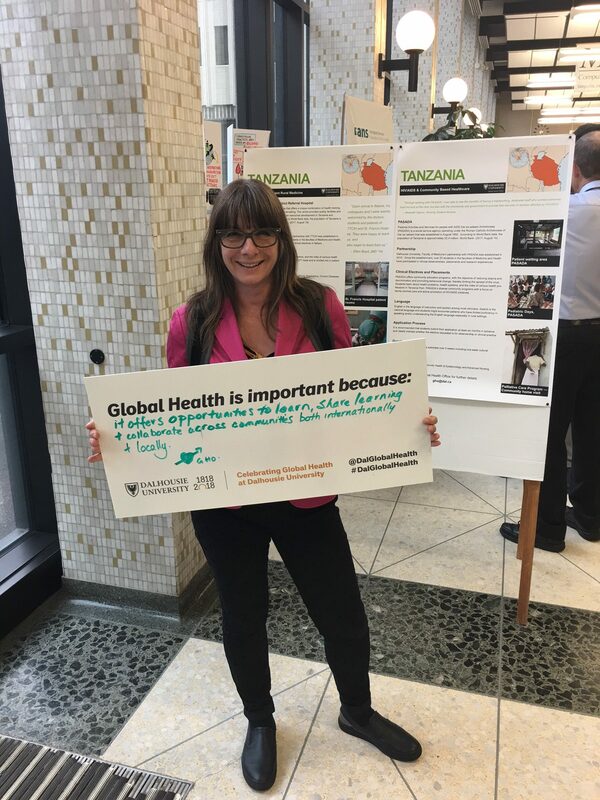 Shawna O’Hearn [Director of the Global Health Office] co-chaired one standout session on allyship in global health partnerships. What was your favourite session you attended? Who was presenting and what did you take away from the discussion? It’s tough to choose one favourite, but one workshop that I really enjoyed was “From gender blind to gender transformative global health research”, lead by Rosemary Morgan from the Johns Hopkins Bloomberg School of Public Health and Sarah Ssali from Makerere University in Uganda. 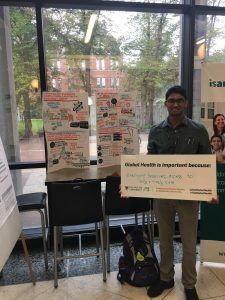 We discussed how gender analysis should be incorporated into global health research. 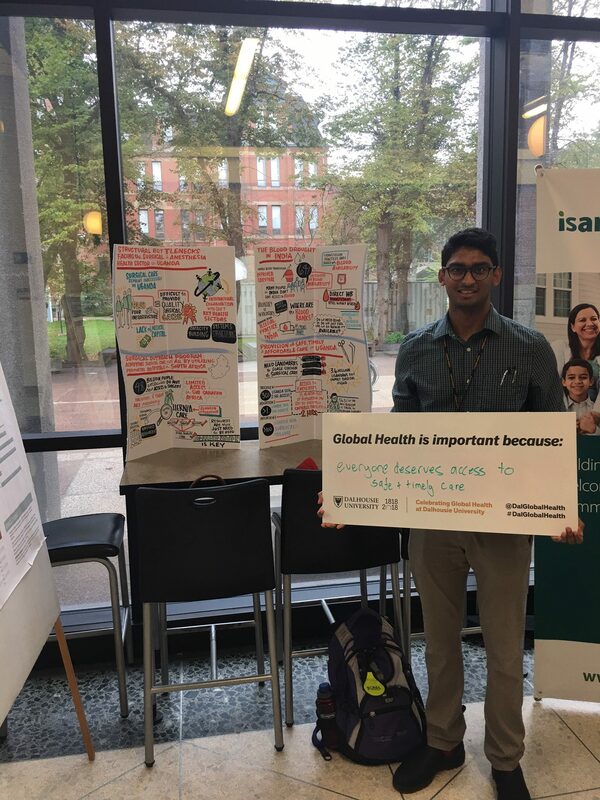 The ‘Allyship’ workshop was also a favourite because it explored the importance of acknowledging privilege and how that plays into fostering meaningful, impactful global health partnerships. It’s a topic that some researchers, such as my supervisor Dr. Megan Aston, have been promoting for years but remains ignored by many- it’s the elephant in the room. Allyship is a day-to-day practice and the presenters discussed how and why impact must be emphasized over intent when working with others, whether it be abroad or at home. Did you meet any interesting people over the three days? 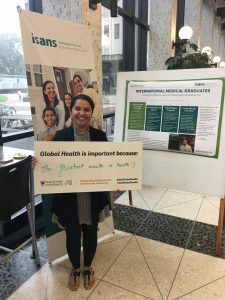 Absolutely, there were so many great global health leaders to meet and connect with. I was able to reconnect with Dr. Fastone Goma, my colleague from the University of Zambia. We got to know each other better and finally meet in person after many emails back and forth throughout the summer! I also had the chance to meet Dr. Vic Neufeld from the University of Victoria through the Canadian Coalition for Global Health Research. 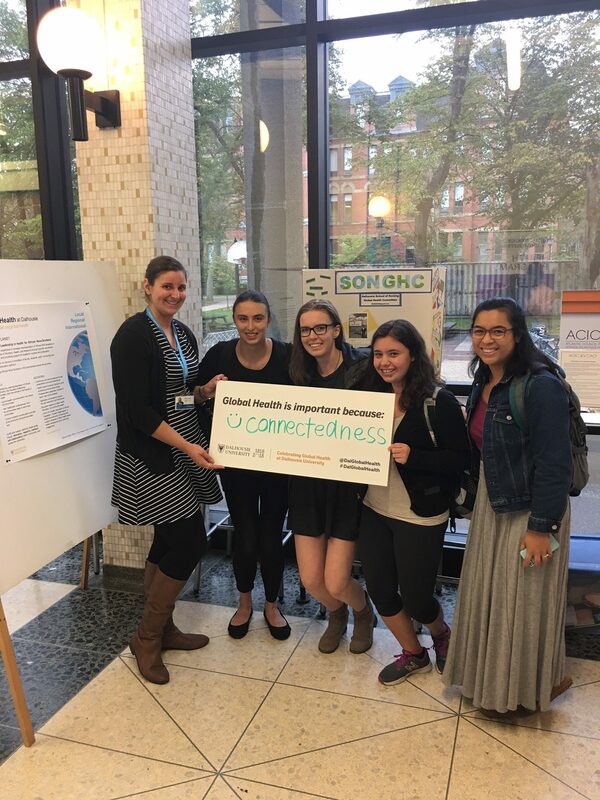 Dr. Neufeld is a wonderful, passionate mentor and is great at facilitating relationships and partnerships in the global health field. Dr. Sarah Ssali from the Department of Women and Gender Studies at Makerere University in Uganda was also an amazing person to connect with and shared very valuable insight. 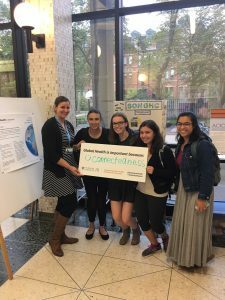 What are your future career plans and how did attending the CCGH influence this plan? I will be applying to bridge into the PhD in Nursing program here at Dalhousie as the next step in pursuing a career in global health research! I’m incredibly fortunate to have mentors both here in Canada and abroad to help facilitate future work in the field. 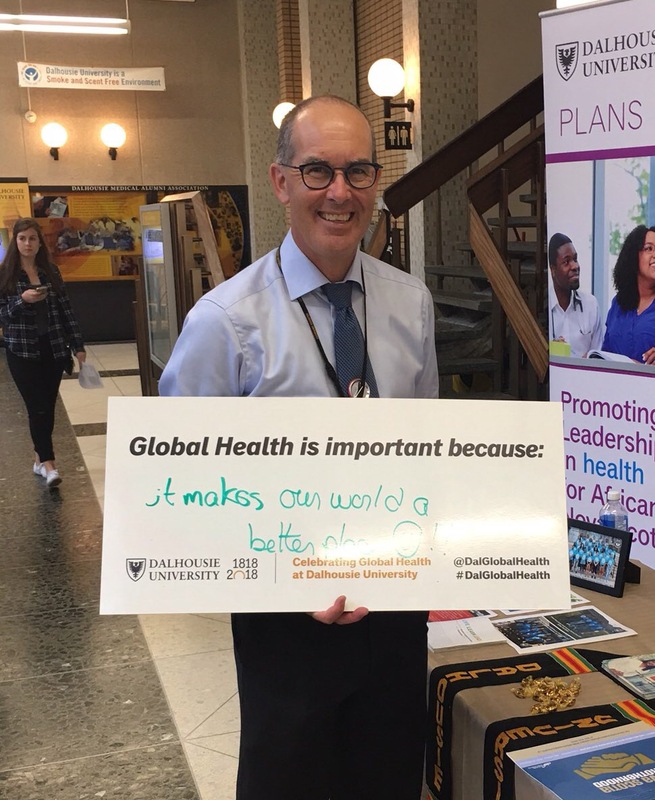 One of my many reasons for choosing Dalhousie for my graduate studies was the opportunity to become involved with the WHO/PAHO Collaborating Centre for Health Workforce Planning & Research, where I am currently working as a research assistant with Dr. Gail Tomblin Murphy, the Centre’s Director, and Janet Rigby. I am also planning to apply for the Queen Elizabeth II Diamond Jubilee Scholarship, which would allow me the opportunity to travel to either Ifakara or Dar es Salaam in Tanzania, from May-August 2018, to assist with research, likely in the area of maternal and newborn health. 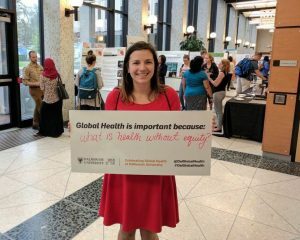 I would like to thank Rachel for sitting down with me to share her fantastic experience at the Canadian Conference for Global Health, and we wish her the best in her future studies and research career! For more information on this annual conference please visit the CCGH website. As a recipient of a conference bursary through the Johnson Scholarship Foundation, I was able to attend the Canadian Association of Perinatal and Women’s Health Nurses (CAPWHN) 7th National Conference in Halifax, Nova Scotia. As an attendee and presenter, I had the opportunity to connect and learn from a diverse group of professionals and researchers in the field of women’s health. While many of the presentations related to initiatives and research here in Canada, there were also several presentations that centered on women’s and maternal health abroad in countries such as Haiti, Tanzania and Nigeria. 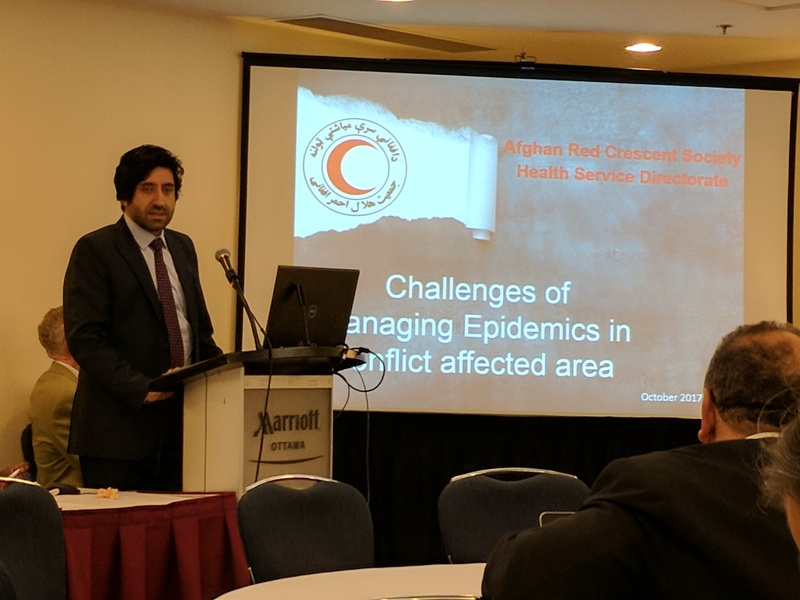 It was fascinating to hear about these international partnerships and work that is currently being done by Canadian researchers in collaboration with international teams. 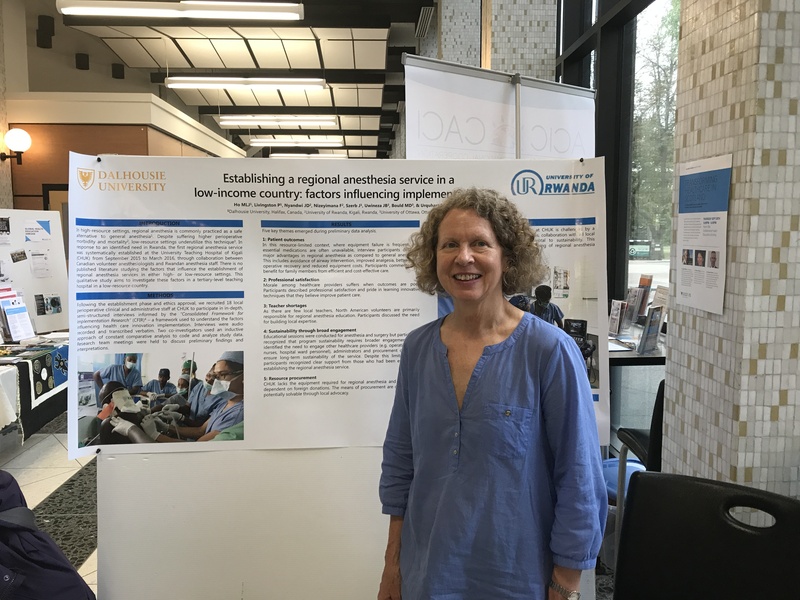 Some of the highlights from the international work include: breastfeeding and HIV considerations, maternal mortality and midwifery practice and strengthening international partnerships. I also had the opportunity to deliver both an oral and poster presentation. For the oral presentation, I co-presented with Dr. Megan Aston and Danielle Macdonald on postpartum care delivered by nurse midwives and obstetricians in Tanzania. My poster presentation was on the health policy analysis work that I completed while in Tanzania, as part of my Masters program. Each of the presentations was extremely well received and generated critical discussion, especially around implementation and moving research into practice and policy. Another highlight from the conference includes being able to connect with clinicians, researchers and faculty from across Canada. 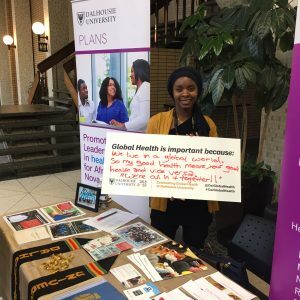 Expanding my professional network will undoubtedly add value to the research that I intend to pursue in maternal and newborn health as well as work in the African Nova Scotian community. 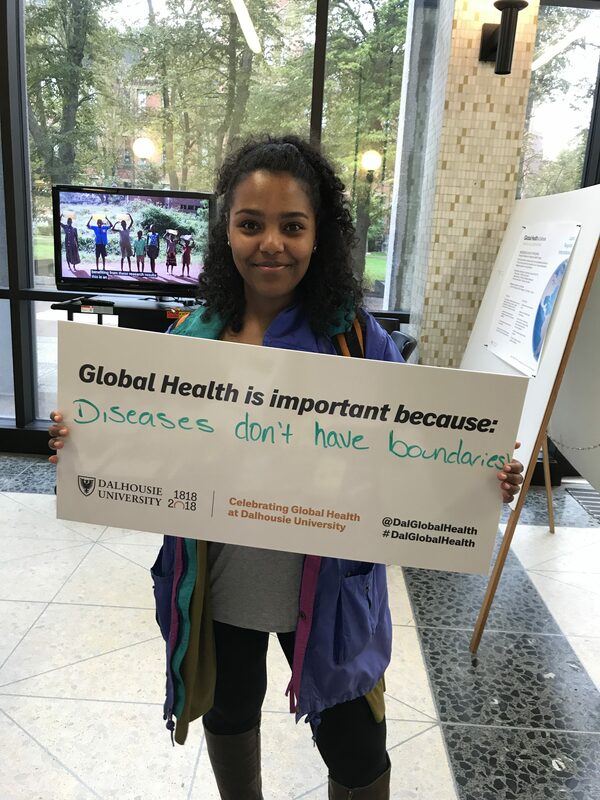 I would again like to thank the Johnson Scholarship Foundation and the Global Health Office for this opportunity. I am looking forward to attending the 8th National Conference next year in Ottawa. For more information on this conference opportunity please visit our Diversity webpage. It is hard to believe that my time in Tanzania is coming to an end soon. During my stay, I learned Swahili, explored nearby sceneries, and made some great friends. I really appreciate the opportunity to come to Tanzania and to spend time with all the amazing people that I met here. 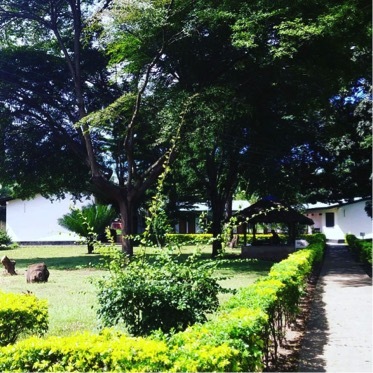 During my internship at TTCIH (Tanzania Training Centre for International Health, Ifakara) my overarching goal is to learn about qualitative data analysis through working on the ASDIT (Accessing Safe Deliveries in Tanzania) Focus Group Discussions (FGDs) transcripts. 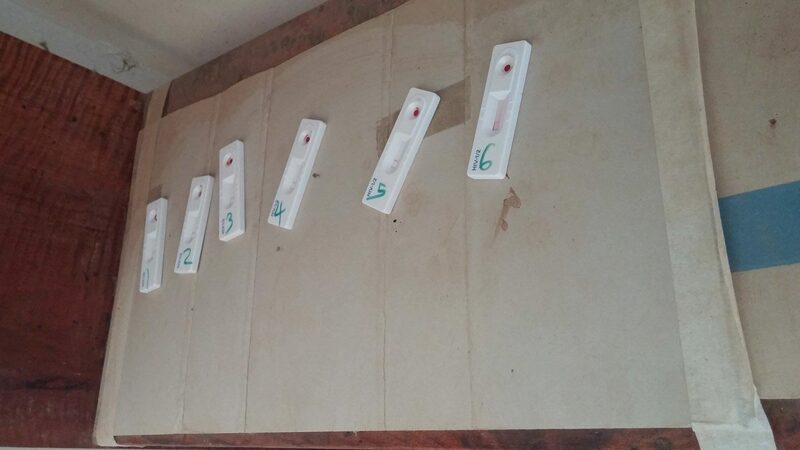 The FGDs were conducted in the five catchment areas served by five different health facilities in Morogoro region, Tanzania. In each catchment area, three groups of participants were interviewed: pregnant women and their husbands, post-partum women and their husbands, as well as community leaders and health facility staff members. The FGDs were recorded, transcribed and translated into English. During the FGDs, the following topics were discussed: the social context for women to access obstetric care, quality of care, family norms and support related to childbirth, eighteen-and-under pregnancy, and recommendations for the public health services. Through analysing the transcripts, I was able to identify several key factors that affect women who live in rural Tanzania and their access to quality obstetric care. A few weeks ago, I had the opportunity to shadow at the One-Stop Clinic at St. Francis Hospital. The Clinic offers comprehensive services for HIV/AIDS testing, counselling services, informational sessions on HIV/AIDS, and community outreach services. I observed the testing service and follow-up counselling services. Through this shadowing experience, I learned about facilitators and barriers of people infected by HIV/AIDS accessing health services. I also went on my first Safari trip at the Ruaha National Park, which was very exciting. We were greeted by many lovely animals, such as elephants, giraffes, monkeys, lions, and a leopard (which is very rare to see). I really appreciate the opportunity QES and the Global Health Office gave me to conduct research and experience cultures in Tanzania. I would really love to come back sometime in the future. It is not easy to fit in to a new environment, especially in another country; but as long as you go in with patience, respect, an open heart, and a respectful and understanding attitude, you will be able to find your way in and make some true friends for life. To read more about this program please review the 2017 Dal News Story or visit the QE Scholars Dalhousie website. 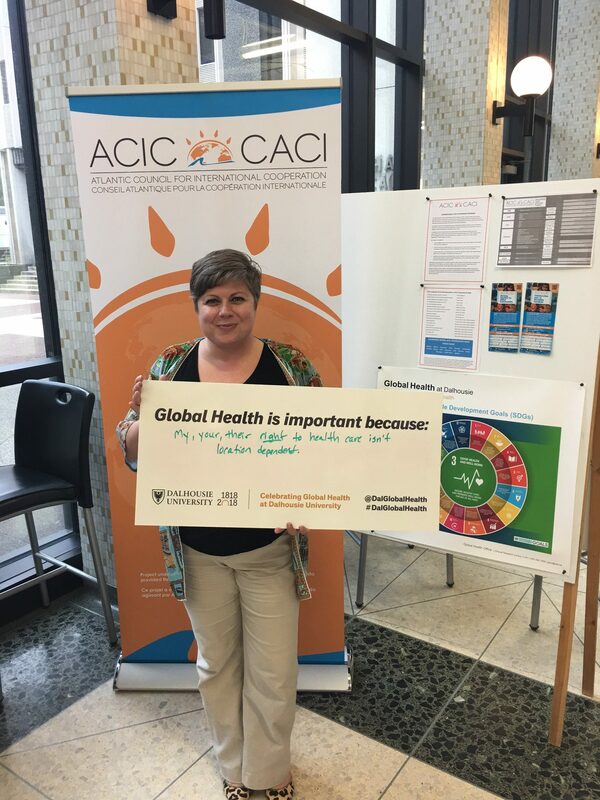 It is exciting being at my first Canadian Global Health Conference here in Ottawa! 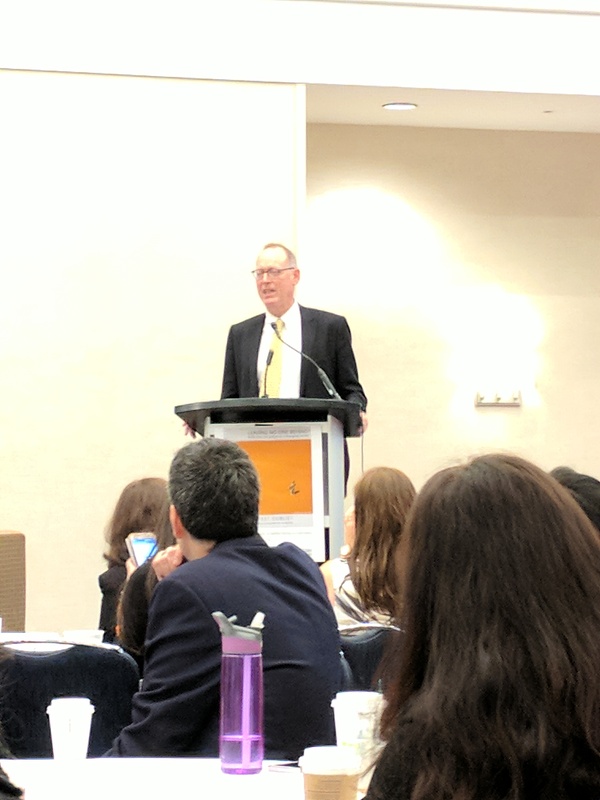 The first day of the conference opened up with a stellar line-up of global health celebrities including Partner’s in Health Co-founder and internationally recognized humanitarian Dr. Paul Farmer, former MSF (Médecins Sans Frontières) director Dr. James Orbinsky. 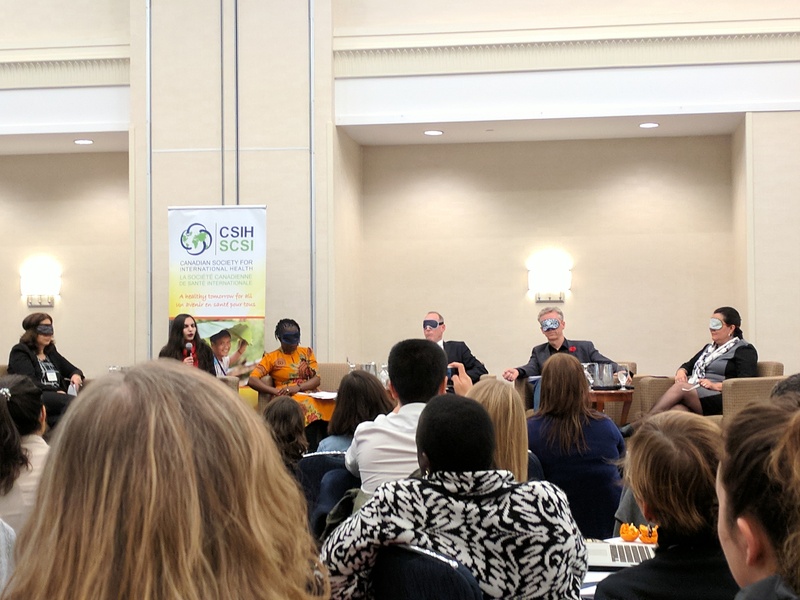 Fellow panelist Shakira Choonara walked everyone through a simulation of what visually impaired individuals have to experience when taking their own medicine, which involved a blindfold and the reading of a prescription. The concurrent sessions throughout the day were informative, educational, and captivating! 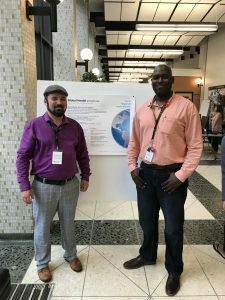 Discussions about building capacity in different country contexts, implementation research in the context of HIV and HCV, and insights into community engagement in the context of Ebola were all fantastic symposiums and workshops to learn and talk about global health issues. Tomorrow’s program looks just as impressive as today’s, and I am looking forward to more exciting, interesting, and creative discussions about global health! For more information on these sessions please see the Conference Program. Antimicrobial resistance (AMR) occurs when bacteria, viruses and other microorganisms change in ways that cause existing medications (ex. antibiotics – bacterial infections, antivirals – viral infections) to be ineffective. These resistant microorganisms are commonly termed “superbugs” and are a major public health concern due to their ability to spread in populations and impose large individual and society costs (WHO, 2017). AMR organisms cause more than 2 million infections and approximately 23,000 deaths each year in the United States (Marston, 2016). The economic costs are also substantial, estimated at $20 billion in excess medical spending each year (Marston, 2016). AMR is causing traditionally curable diseases are becoming increasingly more difficult to treat. Data collected from 77 countries shows that antibiotic resistance in gonorrhea is causing infections to be harder and sometimes impossible to treat, and is on the rise (WHO, 2017). Microorganisms resistant to modern medicine have existed for thousands of years, and appear to predate the antibiotic era. Frozen samples collected from Yukon contained bacteria with resistant mutations 30,000 years before the discovery of penicillin, the world’s first antibiotic (D’Costa, 2011). But despite naturally occurring antibiotic resistance, the number of cases of resistant microorganisms continues to rise, which can be attributable to human activity. One example is through the overuse of antibiotics. The overuse of antibiotics is in many cases unwarranted, and regiments are frequently not completed, leading to drug resistance. A number of drug-resistant infections are found in hospitals, such as Methicillin-resistant staphylococcus aureus (MRSA). However, impatient antibiotic usage represents only 38.5% of the total antibiotic market (Marston, 2016). A recent American study found that 12.6% of outpatient visits in the US resulted in the prescription of an antibiotic, and 30% of those prescriptions were deemed inappropriate (Marston, 2016). 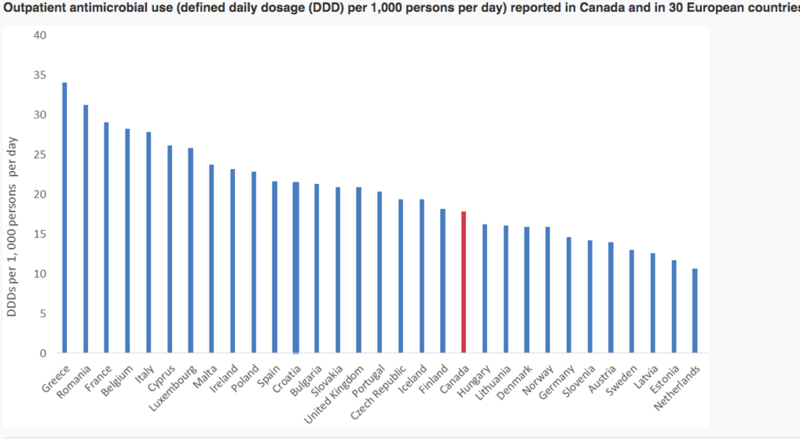 Canada ranks in the middle of 30 European countries in outpatient antimicrobial use. The overuse of antibiotics largely stems from over-prescribing of medications for conditions that don’t require antibiotics for treatment. 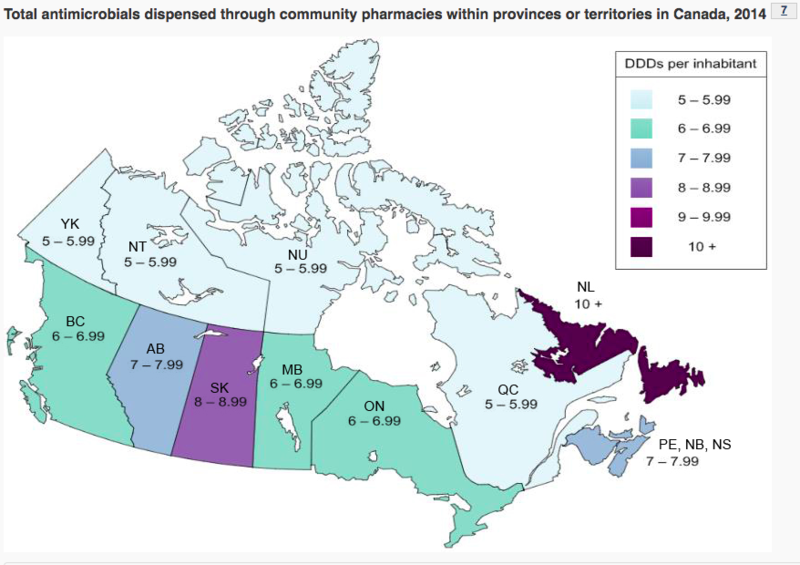 The level of antibiotic prescription across Canada varies by province, with the highest levels found Newfoundland and Labrador. Outside of North America and Europe, outpatient antibiotic prescription can account for 20 – 100% of antibiotic use depending on location (Morgan, 2011). In many of these nations, antibiotics are dispensed directly to the consumer, and are more likely to be inappropriately selected and taken at doses below optimum levels (Morgan, 2011). With increasing levels of drug resistant infections, new medications are needed. However, the pace of new antibiotic development has slowed considerably. There were 16 antibiotics were approved by the FDA between the years 1983 and 1987, but only 2 new antimicrobial drugs were approved between 2008-2012 (Boucher, 2013) and 5 in total since 2012 (Marston, 2016). There are certain characteristics of the antibiotic market that likely hinder pharmaceutical industry investment in new drug development. The limited duration of treatment, relative low prices per dose, and the potential for the rapid emergence of resistance (uncertain market longevity) all diminish revenue prospects for new antimicrobial drugs (Marston, 2016). The agricultural sector also contributes towards the growing resistance of microorganisms. An association has been found between antibiotic consumption by animals and the existence in humans of microorganisms resistant to the same antibiotic classes (Chantziaras, 2014). In 2014, approximately 82% of antimicrobials important to human medicine were distributed and sold for use in food-producing animals (Health Canada, 2014). The influence of the agricultural use of antibiotics on human health has drawn a range of responses, including policies in Europe banning antibiotic use for animal growth, and regulation from the Food and Drug Administration (FDA) encourage similar practices. Surveillance of antimicrobial resistance starting from local global health departments is very important for managing and controlling AMR. Surveillance captures information about AMR incidence, prevalence, and trends from particular regions. 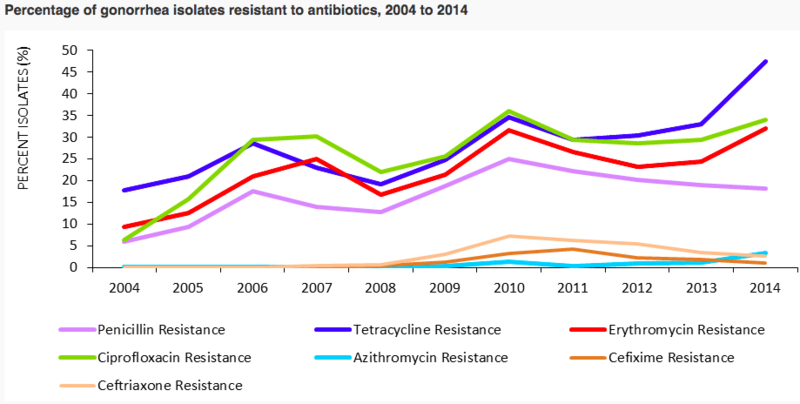 This information can be pooled together to see national and global trends of AMR. 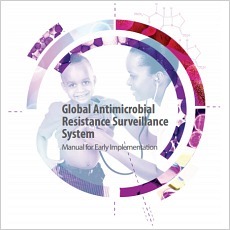 The Global Antimicrobial Surveillance System (GLASS) shares data internationally on antimicrobial resistance to inform decision-making, drive local and regional action, and provide an evidence base for action and advocacy (WHO, 2017). In Canada, AMR is monitored by the Canadian Antimicrobial Resistance Surveillance System (CARSS). Basic public health measures like sanitation, hand washing, and food and water security can decrease the spread of AMR (WHO). Public Education Campaigns have proven effective on reducing inappropriate prescribing of antibiotics in Belgium and France (Gelband, 2015). There has also been a substantial effort to address inappropriate antibiotic use within hospitals; including implementation of antimicrobial stewardship programs, which seek to reduce inappropriate antibiotic and antimicrobial selection and reduce the inappropriate use of broad-spectrum antimicrobials. However, these stewardships have had limited implementation and acceptance in hospitals (Marston, 2016). Vaccines have a role as well. It is estimated that improved vaccine covered for Streptococcus pneumonia could prevent 11.4 antibiotic days per year in children under 5 years of age worldwide (Laxminarayan, 2016). Canada, P. (2017). Government of Canada’s response to antimicrobial resistance – Canada.ca. [online] Canada.ca. Available at: https://www.canada.ca/en/public-health/services/antibiotic-antimicrobial-resistance/government-canada-response-antimicrobial-resistance.html [Accessed 13 Oct. 2017]. Chantziaras I, Dewulf J, Boyen F, Callens B, Butaye P. Antimicrobial resistance prevalence of pathogenic and commensal Escherichia coli in food-producing animals in Belgium. Vlaams Diergeneeskundig Tijdschrift. 2014;83(5):225-33. D’costa VM, King CE, Kalan L, Morar M, Sung WW, Schwarz C, Froese D, Zazula G, Calmels F, Debruyne R, Golding GB. Antibiotic resistance is ancient. Nature. 2011 Sep 22;477(7365):457. Gelband H, Molly Miller P, Pant S, Gandra S, Levinson J, Barter D, White A, Laxminarayan R. The state of the world’s antibiotics 2015. Wound Healing Southern Africa. 2015 Jan 1;8(2):30-4. Laxminarayan R, Matsoso P, Pant S, Brower C, Røttingen JA, Klugman K, Davies S. Access to effective antimicrobials: a worldwide challenge. The Lancet. 2016 Jan 15;387(10014):168-75. Marston HD, Dixon DM, Knisely JM, Palmore TN, Fauci AS. Antimicrobial resistance. Jama. 2016 Sep 20;316(11):1193-204. Morgan DJ, Okeke IN, Laxminarayan R, Perencevich EN, Weisenberg S. Non-prescription antimicrobial use worldwide: a systematic review. The Lancet infectious diseases. 2011 Sep 30;11(9):692-701. World Health Organization (WHO). Antimicrobial Resistance. 2017. 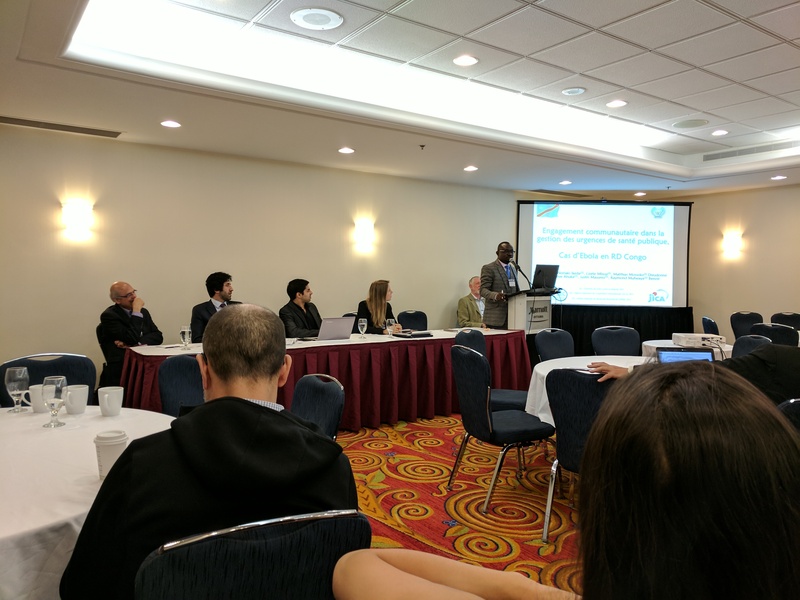 Through the support of PLANS (Promoting Leadership in Health for African Nova Scotians) and the Johnson Scholarship Foundation, I recently attended the Canadian Public Health Association (CPHA) Conference. Over the course of the three days, I learned more about Public Health and the vital role it plays. For this blog post, I would like to share a few key learnings that I received through my attendance at this conference and issue a challenge for those of us interested in improving the health of our communities. Having been my first time attending, I really did not know what to expect. 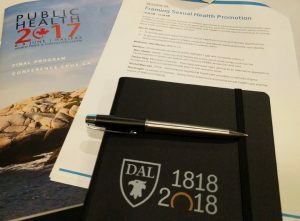 Based on the various session abstracts presented, Public Health is a broad area that challenges us to consider the multi-faceted areas of health – whether they impact the individual directly or indirectly – and how to influence policy. As a health professional and research trainee, knowing how to influence policy through my work will be critical. This will be something that I keep at the forefront of my mind as I proceed through this journey. What was most impactful for me however, was considering the scientific evidence along with the practical wisdom that is held by our Indigenous people and Elders in our communities. I would also extend this to the Elders in my own African Nova Scotian community. Healthcare providers and researchers need to listen to and understand the experiences of the individuals that we will work with and the communities in which they reside. That said, representation is important! Unfortunately, a localized context for this conference was absent and would have contributed to a stronger conference. 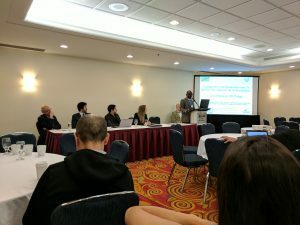 For example, the session on Racism in Society did not include a representative from the African Canadian community in Nova Scotia, a population that has a unique experience to share in many areas that this conference discussed including building healthy communities, food security, mental and physical health and so much more. I am hopeful that as the number of ethnically diverse health care professionals increase, that the issues affecting the communities become more mainstream and become priorities for the heath of all Canadians. I hope that as we strive to improve the health in our communities, that we acknowledge the many factors that lead to the diversity of the people in the communities, age, gender, socioeconomic status etc., and how they factor into how we address the needs of the community. We need their voices to deal with the complex health issues in our communities. That is when we will see a change. 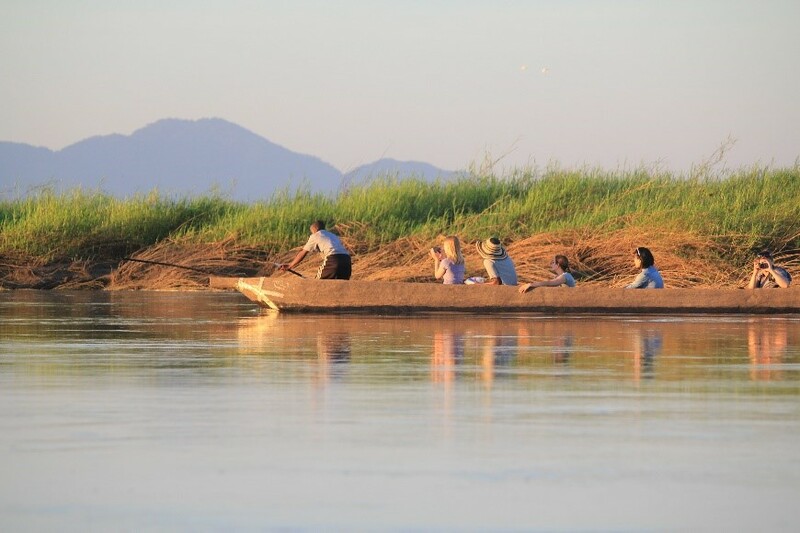 For more information on PLANS please visit our Diversity and PLANS webpages.